Reiki, AromaTouch and Light Therapy 5 punch cards available $35-$70 in savings. Tibetan Bowl Session - Clearing and Balancing for the new year, let go of 2018, embrace the new year and with joy and peace. Be all who you are suppose to be! Learn about essential oils and how to use them as a tool in your home for physical and emotional health. Are you ready for a lifestyle change? Enjoy an Aromatherapy & Wellness Consult and learn what tools can support you and the lifestyle you want with specific oil and product suggestion and the suggested next steps to take. The AromaTouch Technique is a simple yet powerful way to provide every individual with an essential oil experience. With the use of 8 essential oils, come and experience a deep relaxation, grounding, and rejuvenation.. The Itovi scanner is highly accurate at measuring and displaying reactions from your body. This fascinating tool takes an overall wellness snapshot of a simple scan of your hand. The scanner determines which products would be most beneficial for you and your body. Polychromatic light therapy (PLT) is the simultaneous use of two or more wavelengths of light (color) provided from light emitting diodes (LEDs). .PLT triggers the release of nitric oxide which increases circulation to relieve pain and stimulates the body’e innate healing processes. In the session you will experience different size pads and an option to include the Brilliant head cap that are placed on your body for a 20 minutes. InLight Medical PLT systems are FDA-cleared for increasing circulation and reducing pain. 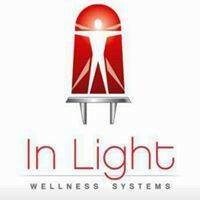 Clients choose InLight PLT for it’s convenience, value, drug free, and non-invasive healing properties. Reiki is ‘Universal life force’. The effects of unreleased stress ranges from minor aches to major health concerns. 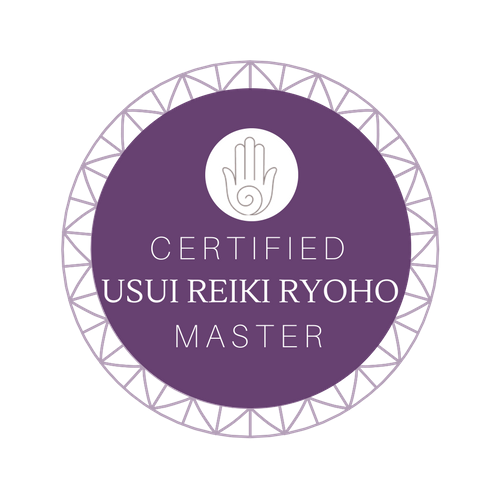 Reiki (ray-key) is a technique that aids the body in releasing stress and tension by creating deep relaxation through the movement or balancing of energy. Reiki promotes healing, health and chakra balancing. Enjoy the sound of the Tibetan singing bowls from relaxing and clearing your chakras. The tones, vibration and frequency clears energy using sound healing, resulting in relaxing and essential peace. From a relaxing session, clearing & balancing chakras, ease anger & aggression, and stress relief & depression. Angelic Healing works with the love and healing of the angels. The angels guide us through our lives. In Angelic Healing, the angels guide me while working with the client. I am a vessel to let the healing of the angels pass into the client. I am open to this energy and fully guided and protected by the angels and so are you. The higher energy of the angels is cleansing, clearing, and recharging. *these statements have not been evaluated by the Food and Drug Administration. These products & services are not intended to diagnose, treat, cure, or prevent any disease. doTERRA Wellness Advocate, AromaTouch Certified, Reiki Master, Angelic Healing Practitioner, Light Therapy, Aromatherapy, Tibetan Sound Healing, Angel Card Readings, Reflexology.